Prior to joining Eventi in a full-time capacity, Scott was the co-founder and EVP, General Counsel of Grocery Gateway. Scott structured numerous venture capital financings at Grocery Gateway, raising in aggregate more than $130 million from angels, strategic partners, VC’s and institutional investors such as the Ontario Teachers’ Pension Plan. Scott also managed communications with the Grocery Gateway Board of Directors and provided leadership to the Grocery Gateway human resource function, growing the company from 40 to 500 employees. After completing the sale of Grocery Gateway and its subsidiary, Gateway Delivery Ltd., in September 2004, Scott joined Eventi in order to continue working with high growth businesses. 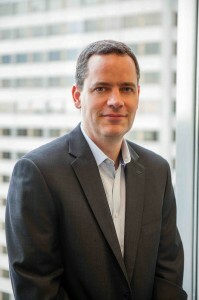 Scott started his legal career at Toronto law firm Miller Thomson, focusing on corporate/commercial and technology matters. While at Miller Thomson, Scott was seconded to Star Data Systems, a TSE-listed technology service provider to the financial sector. Scott brings considerable experience in deal structuring, human resource management and corporate governance. With a background in private practice and extensive in-house experience, Scott has a practical, productive approach to legal and human resource issues.